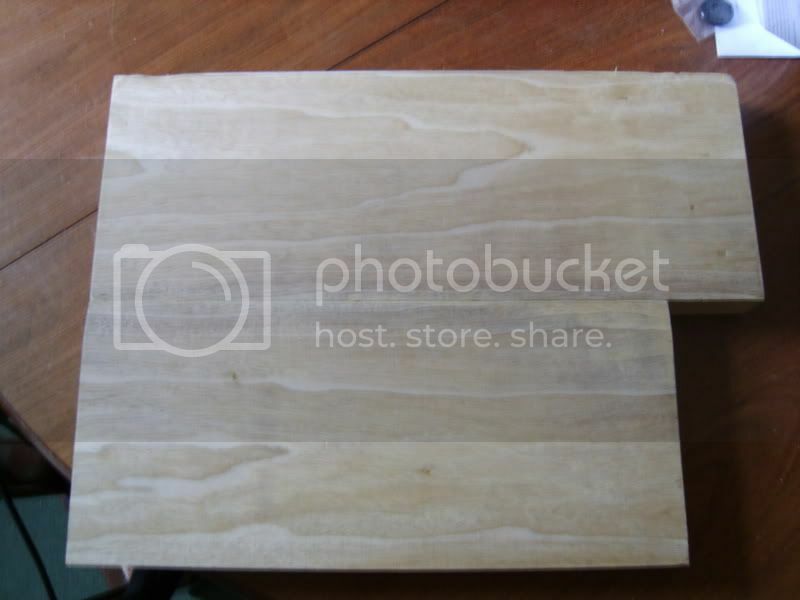 OK, Noodle has said it would be good for me to to a plank to playing photo essay on one of my builds. I like the idea but thing we should go a stage further. I wanted to do some projects as demo models over the summer anyway but i reckon i will let you guys dictate the way it goes - as long as nobody asks for a bloody banjo i dont mind!! 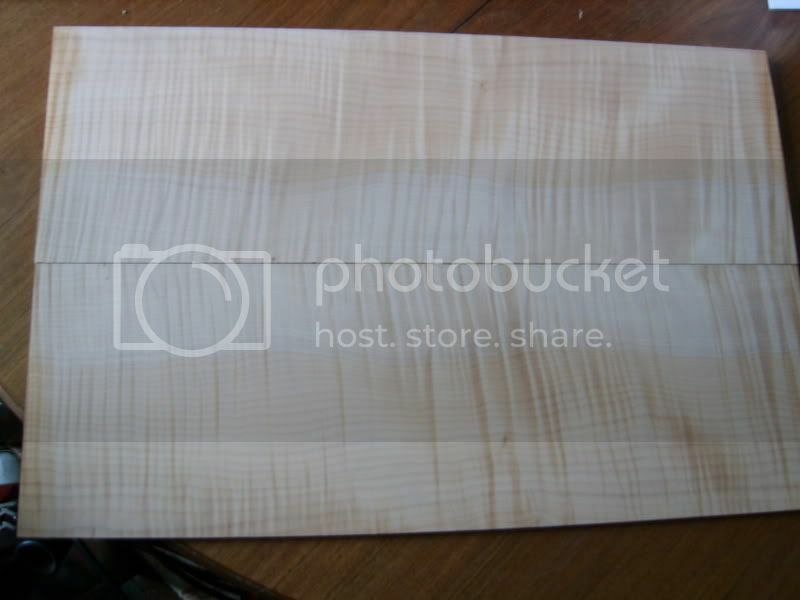 The body wood will be this korina, slightly knotty but has a great tap-tone. That splated top looks amazing! not a fan of spalted. personally i think some nice plain wood with some grain would look good. i'm not a fan of spalted, to be honest, though every so often you see a great-looking spalted top. I'd go with the flame, but obviously it's up to you! Spalted top, ebony board, black headstock (les paul style black) and black hardware. hardware will probably be chrome because of keeping costs to a minimum. I am basically after ideas for shape, scale length, wood choices for neck, pickups, hardware (nothing too expensive for this), inlay . . . and anthing else people can think of that they would like to see in a guitar. obviously i expect to get a lot of ideas i will ignore( :twisted: ) - thats just the nature of the beast!! 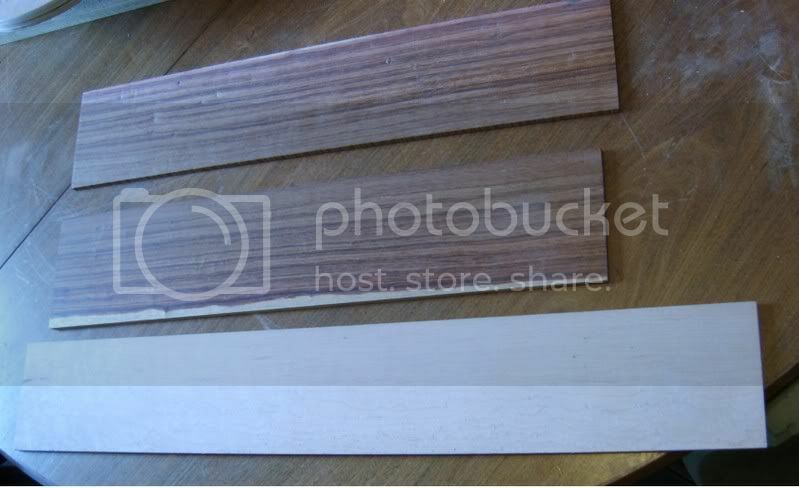 I would say a Purpleheart fretboard, the shape in the picture is nice, but an asymmetric bottom thingy would be cool to. 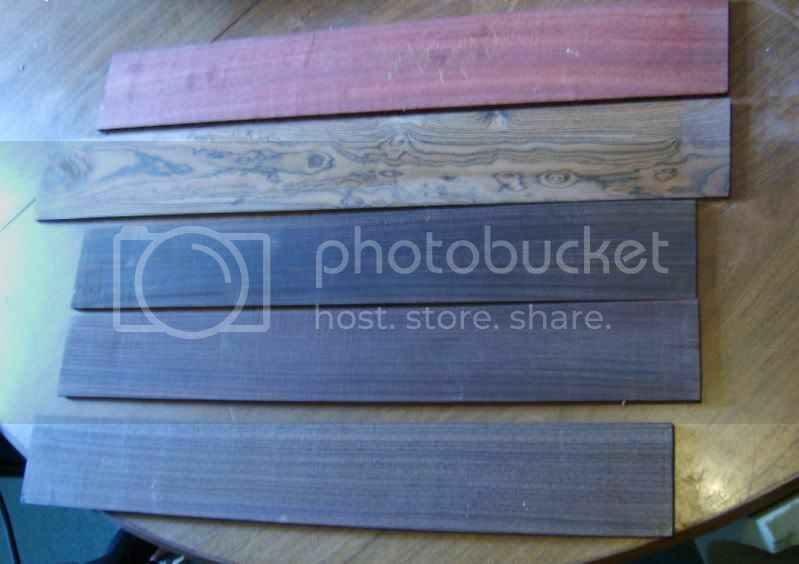 Does anyone have any idea how a bubinga neck would sound on a guitar? well sticking with the woods i have here, no bubinga or purple heart. Bocote - the grain isnt pefectly aligned on this bit though. 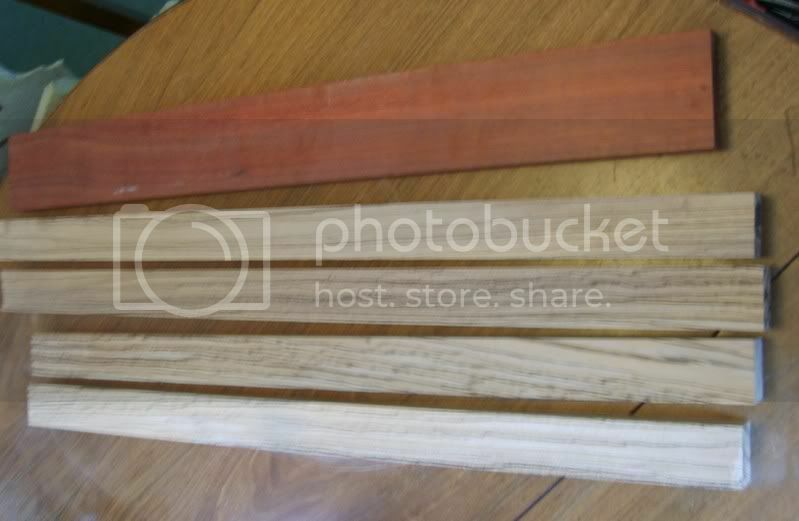 Those are the woods we have to work with folks, although i will conside mixing up a couple of neck blanks in a laminated neck!! Oh, i also have a load of ziracote fretboards coming so i maybe able to spare one of those. Ziracote is my favorite wood for fretboards!! 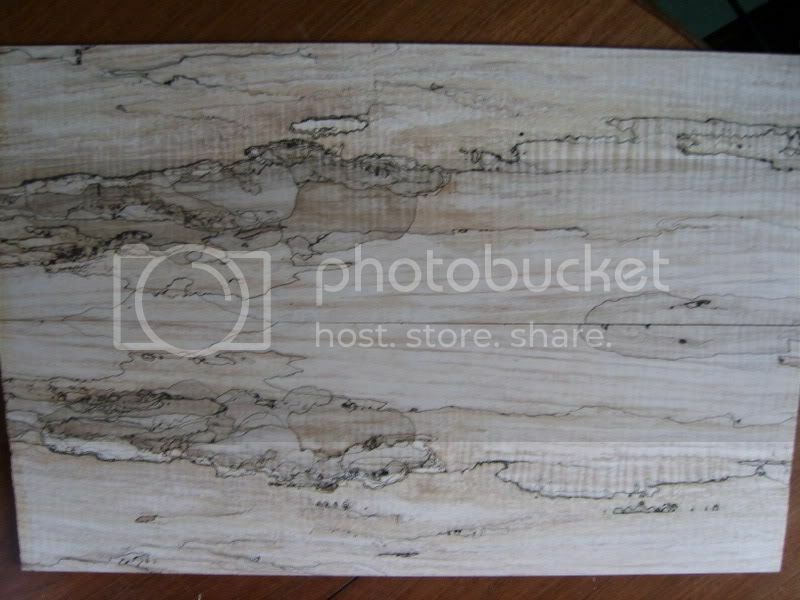 If you're using the Spalted top I beg you to make the fretboard out of that Bocote - Would look stellar! Has anyone got any other ideas on the shape - its hard to tell when something is just a template but i am still not sure about the one i have shown!! 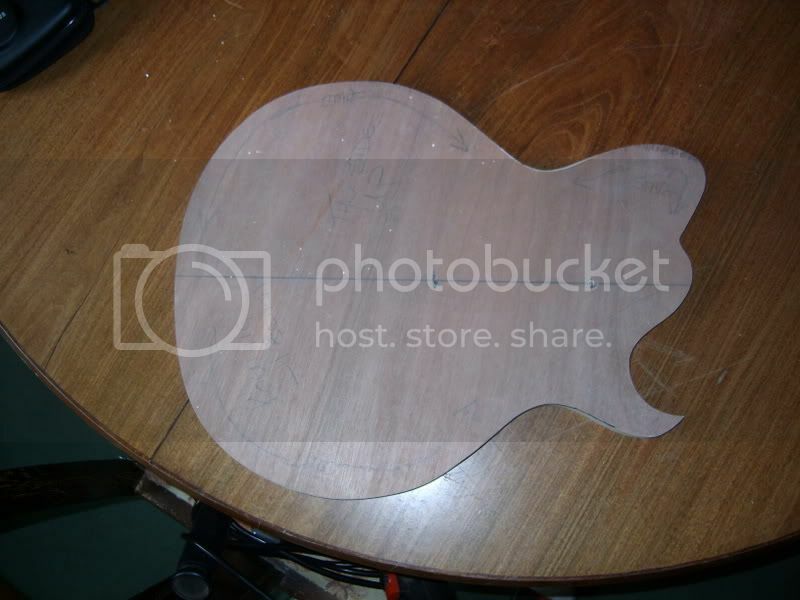 So far i am thinking the korina body with flamed maple top. indian rosewood neck with ziracote fretboard and flamed maple binding. No inlays because i like the look of ziracote so much - but if anyone has a cool inlay idea that could challenge me i might do it, i need a bit more practice with inlay anyway. Purpleburst on the body with a big chrome tele bridge and direct mounted neck humbucker. Still not sure if it would look better as a chambered design with some kind of f-hole. ... and the big question for this forum - - what pickups would be best for the most versatile tone. Part of me things something in burnt chrome would go well with the purpe burst!! 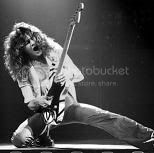 I also reckon a big chrome MQ or manhattan would look great in the neck!!!! I was thinking a set-neck like a prs i.e full width neck tenon rather than a gibson style one - although i may extend it into the body further than a prs. Again set-necks are something i havnt done as much off it is good to use this opportunity to get more experience with them. Only done about 4-5 set-necks so far. all but the first turned out great but it doesnt hurt to practice!! About the shape - I think the top horn is a bit too bulbous - I think you should go for a more traditional top horn with the thin sharp Eclipse-like bottom horn which you've shown in the template which looks awesome. dont say that hategrowth - i keep wanting to do another explorer, but it would probably be a downsized version like the gibson x-plorer pro of the 90's. very nice guitars!!!! Anyway, we need to focus this in so lets vote. Suddenly i want to do a firebird!! Choose a cpikcup combo you belive to be truly versatile from the BKP range!! I will give this the weekend to see what you all reckon and go with that!!! I dont want to do a trem guitar because trems cost more money for the quality i need on my guitars and since i am funding this one there is a budget and i cant skimp on pickups for you guys!! 3: Mahogany with Zebrano fingerboard or the spalted Bochote. 5: Pair of Cold Sweats. PS: Add a vote for Finish?